The lion and gazelle have to be at the top of their game each and every day. If they get lazy, they lose. The Apollo Root Cause Analysis methodology can help you maintain a competitive advantage, but only if you use it completely and consistently. How are you ensuring that you maintain and improve your lead? Can you measure what you have achieved since your Apollo Root Cause Analysis methodology training, or has it become just another initiative that didn’t work? You spent the time and effort learning a proven methodology that solves event-based problems every time, and perhaps it has become a company standard tool. But the creation of the reality chart and incident report are only steps on the journey. We also need to focus on creating an effective problem-solving culture (for alumni: page 109 in your manual). The culture part of the equation can be easy to overlook, but it is this holistic approach that will help you get the most out of the Apollo Root Cause AnalysisTM method. If we do nothing after the initial implementation of the Apollo Root Cause Analysis methodology, entropy kicks in and the system begins to unravel. Any shortfall from the potential gain becomes considered “normal” and root cause analysis just gets accepted as another initiative that didn’t work. With this in the back of our minds, we have to put supports in place to develop a solid platform on which incremental change can be applied to achieve ever greater gains. 1) Ensure your senior leadership team is fully aware of your efforts. Try to get an influential sponsor to regularly mention root cause analysis in group communications. Remember that everyone’s reality is different, so time and energy spent with this team creating that common reality is going to pay dividends. 2) Implement Leader Standard Work. (See chart below for an example) This ensures the ball is kept rolling from leadership down the chain. Developing formal, measured business processes can really help with this, along with good visual management tools. 3) Increase awareness of the benefits and gains brought about by your successes. 4) Involve union and safety reps. If this is done correctly, these folks can be your biggest evangelists. You can then use them as a resource. The “No Blame” approach of the Apollo Root Cause Analysis methodology should make it easier to sell. 5) Create a robust, visible, and measured action tracking system. Unlike work orders that are in a CMMS, these actions have a tendency to fade away. Ideally you would create one place for all actions, making them easy to prioritize. Ultimately, you have to use it or lose it and these five tactics have the potential to help a great deal towards establishing a problem-solving culture and embedding it into an organization. At some point, most companies will want to see quantifiable metrics showing that their Root Cause Analysis (RCA) program has resulted in a positive return on investment (ROI). ROI is relatively easy to calculate as a dollar value when it comes to tangibles such as equipment or production time. Things can seem trickier when trying to assign a dollar value to safety improvements resulting from an RCA program. Try to keep it simple. is a straightforward way to begin quantifying the ROI of your RCA program, including its effects on safety. Let’s look at how we might calculate these costs. Cost of an RCA investigation (you may need to include the initial training, though this should drop off as it is amoritized out over the program, as well as whatever time, resources, and people are required to conduct the investigation itself). Cost of whatever resources are needed to implement a solution. Don’t forget to include new equipment, parts, additional training, and anything else that is directly attributable to the implementation. When you eliminate a problem, calculating what you have saved depends a lot on the problem itself and what its rate of reoccurrence is. For instance, if you figure out what was causing a particular machine to fail at a rate of once/year, you won’t see the benefits of your solution for another year. It can take several years and solving many different problems to see the total value of an RCA program. Improved safety isn’t as impossible to quantify as it might seem. While most companies don’t publicly discuss this type of equation because it can seem insensitive, chances are your company does calculate the monetary cost of an injury or death on the job. These figures may be a bit outdated, but the Mine Safety and Health Administration at the US Department of Labor offers an online calculator, which takes into account both direct costs (like workers’ comp claims) and indirect costs (like training a new worker and lower morale), as one example. Cost of the initial problem in equipment, production delays, man hours, workers’ comp claims, medical costs, absenteeism, turnover, training new employees, lower productivity, decreased morale, legal fees, increased insurance costs. At first glance the equation doesn’t quite make sense for a safety “near miss.” If it missed then what did it cost? Is the answer nothing? So the ROI is: 0 x likely recurrence/cost of the fix = 0? The answer obviously must include the potential cost. The cost to the business if the issue was on target and hadn’t missed. It all becomes subjective then. How do you put a cost on maybes? It might help to look at the statistics of how an incident occurs. Take the cost to the business if a single major accident occurred (every business has this unspoken cost locked away somewhere) and then very simply do the math. One near miss will be worth 0.003 of that cost. Tally up your near misses and now go back to the formula. As an example, say your data indicates you have 3000 near misses in two years, or 4.1 incidents per day. Then you put a program in place and now you have 3000 near misses in four years, or 2.1 incidents per day. This translates to 3000 fewer near misses in two years time. Per the above calculations, this would generate 3000 x 0.003 or nine fewer major incidents at whatever cost your company assigns to that type of incident. This becomes the savings for your ROI (or the Cost of the Problem in our equation) and can be attributed to the safety program of which the RCA process is a part. This formula will assist in calculating an ROI on an individual RCA, which is necessary to show that the process is working and providing value so you can justify the program. However, since most safety programs track TRIR (Total Recordable Injury Rate) or something to that effect, you will also need to show that the RCA program affects this, too. This will be difficult because the safety program is in place and doing other things to prevent safety incidents before they happen. 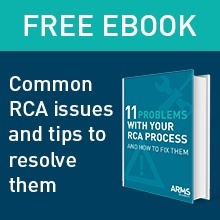 How do you attribute a reduction in near misses to preventive programs versus items put in place from an RCA? You may never be able to separate these items. Even with detailed records, it is not always clear why people do what they do. The best thing you can do is to track when an RCA program was incorporated and then show the improvement in your safety metric, in TRIR, or near misses. You can use this information to justify the program with the argument that the RCA process is part of the overall safety program and it really doesn’t matter which gets the credit as long as we have continued to drive safety improvements. The RCA program should be a small part of the overall safety program costs since there are usually several full time safety people involved, committee meetings, safety initiatives, programs, etc. It doesn’t matter how you slice and dice it, the return on investment for your RCA program boils down to: What will it cost me to fix the problem now? – versus – What is the cost if this problem happens again? The easy way out! Find a scapegoat for any problem that you don’t have time to investigate or that you simply can’t be bothered to investigate properly. But will knowing who did it, actually prevent recurrence of the problem? Following the release of a report by economic consultants Frontier Economics(Oct 2014), it was highlighted that the cost of errors in patient safety, which includes the cost of extra treatment, bed space and nursing care as well as huge compensation pay-outs, costs the NHS between £1billion and £2.5billion a year. The National Patient Safety Agency (NPSA) developed a set of root cause analysis guidelines and instruction documents which were taken over by the NHS Commissioning Board Special Health Authority in 2012. Whilst both Fishbone and 5 Whys are tools that can be utilized in basic problem solving, both methods have received criticism from within other industries for being too basic and not complex enough to analyze root causes to the depth that is needed to ensure that solutions are identified and the problem is fixed. 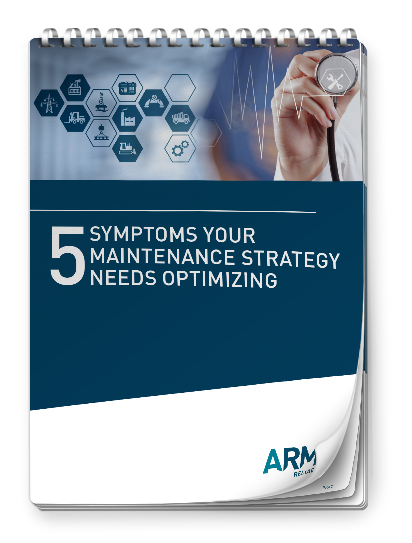 Many companies we work with successfully utilize the 5 Why technique or Fishbone for very basic incidents or failures. By utilizing the correct placement of triggers, organizations can use the 5 Why or Fishbone for its basic problem solving and then move to a form of Cause and Effect analysis like the Apollo Root Cause Analysis methodology for more complex problems. A disciplined problem solving approach should push teams to think outside the box, identifying root causes and solutions that will prevent reoccurrence of the problem, instead of just treating the symptoms. The Apollo Root Cause Analysis methodology provides a simple structured approach that can be applied by anyone, at any time on any given event. One of its most powerful attributes is its ability to create a common understanding of contributing causes, and provide a platform to explore a range of creative solutions. Through a simple charting process, everyone involved in an investigation can contribute which generates enthusiasm for the process, resulting in positive problem solving outcomes and experiences. The key factor for successful problem solving is the inclusion of cause and effect as part of the analytical process. Root Cause analysis identifies causes, so that solutions are based on controlling those causes, rather than treating the symptoms. There are many features of the Apollo Root Cause Analysis methodology which naturally fit within any Problem Solving Excellence program. The Apollo Root Cause Analysis methodology was developed in 1987 by Dean Gano and is utilized across the world in various industries from petrochemical, aerospace, utilities, manufacturing, healthcare and others. The Apollo Root Cause Analysis methodology is supported by software called RealityCharting™ which is available in full version (standalone or enterprise) or as RealityCharting™ Simplified. The RealityCharting Simplified can be utilized on smaller issues and allows the user to build a cause and effect chart that is no greater than 4 causes high and 5 causes deep. This allows the user of a 5 Whys approach the ability to create a chart using the same thought process adopted in the Apollo Root Cause Analysis™ methodology. It also demonstrates a non-linear output to what was originally considered a linear type problem. In the study titled: ‘Training health care professionals in Root Cause Analysis: a cross-sectional study of post-training experiences, benefits and attitudes’ by Bowie, Skinner, de Wet. A few interesting statistics begin to arise when it comes to training of RCA with the respondents. When asked ‘What type of training did you receive?’ 81.1% of respondents had said they had received in-house training compared to 6.6% who had received external training. When asked ‘How long was the training?’ 89% of respondents said they had less than one day training compared to 1.3% who had received more than 2 days. From industry experience these statistics are quite surprising and can only contribute to poor quality investigations with low prevention success. Within industry, Apollo Root Cause Analysis methodology trained facilitators are required to take minimum two day in-class training course with a follow up exam. This is also supported by a pathway for accreditation. RCA participants are given awareness training of the Apollo Root Cause Analysis methodology but only the trained facilitators can lead investigations. A National Health Service Trust hospital was experiencing patient complaints and was exceeding waiting time targets in the antenatal clinic. Several solutions had previously been implemented to solve this problem. However, the problem continued and it was therefore decided to run a thorough investigation utilizing the Apollo Root Cause Analysis methodology. The root causes of the problem were identified during the investigation along with effective solutions. The solutions were implemented over a period of time. With the solutions implemented an immediate improvement was seen and waiting time targets were being met. Apollo Root Cause Analysis methodology has been taught to well over 100,000 people worldwide over the last 22 years. It has become known as the preeminent RCA methodology and is used in many fortune 500 companies and US government agencies like the Federal Aviation Authority and NASA.